Fossil is one of my favorite leather product brands. Their quality is always excellent with modern, yet mainstream designs. I have owned several different Fossil leather products over the years, and they have all exceeded my expectations with regards to durability. But what about this Fossil messenger bag? 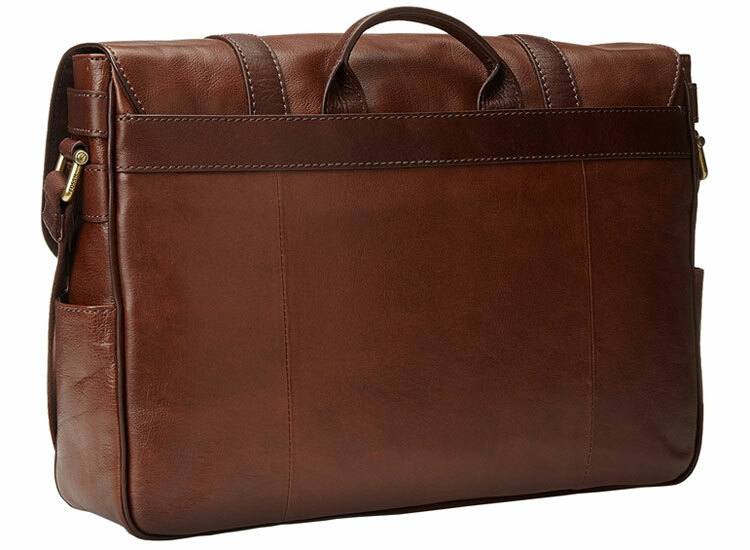 I’m not quite sure why companies gravitate toward long product names, but technically it’s full name is the Fossil Men’s Estate Saffiano Messenger Bag. So let’s take a look at it! Fossil’s messenger bag is exactly what is expected from a messenger bag. Nothing elaborate, but looks and feels great (more on that further down). I did deduct a few points off the Features score because I feel that there has to be something unique to merit a perfect 100. Sometimes pictures can do justice to a product. I find this is usually the case with leather. The look along with touch of real leather really adds a richer experience than can be conveyed through pictures. 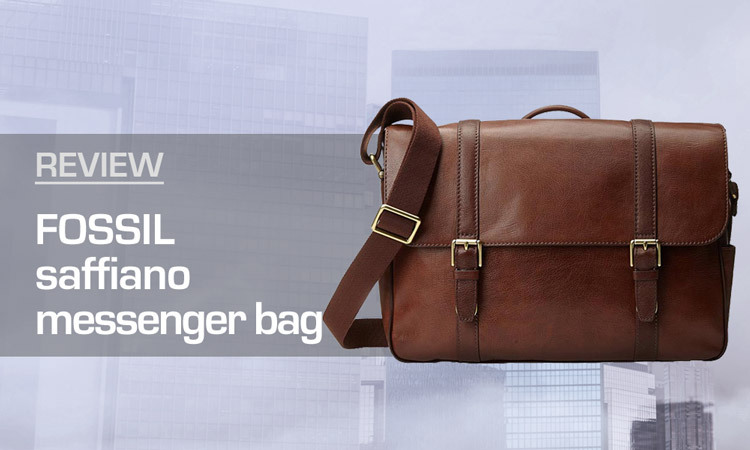 And really, if you are reading this review it’s because you are interested in a real leather messenger bag. Fossil’s messenger bag here does not disappoint. The leather is soft and rich feeling. The stitching is well done and seems to be very strong for durability. As far as design, it has the standard messenger bag features. 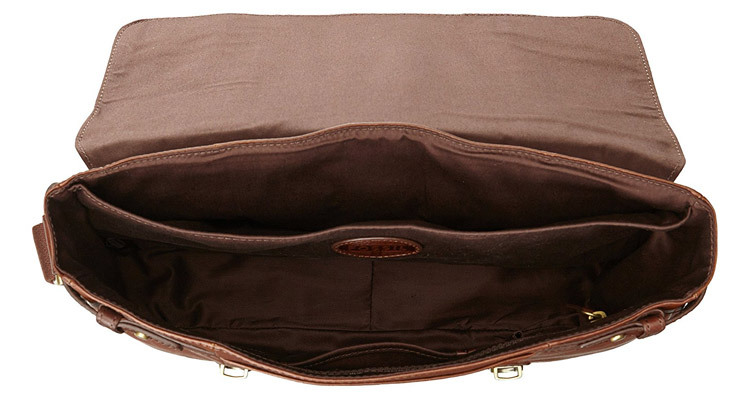 For example, a top flap to cover or access the bag’s compartments. The flap closes with 2 push-button straps with decorative buckles. There is a leather handle on the back for easy carrying or you can use the adjustable body-strap. So what kind of organization does the Fossil Saffiano messenger bag have? Well it comes with 9 different sized and styled pockets. Inside there is 1 zip pocket and 4 slip pockets. The exterior has 3 slip pockets and 1 card slot. You can see most of these in the picture above. I do wish that the exterior side pockets had a little more room to fit larger items, but I realize that’s a trade-off with having leather pockets versus a more flexible mesh. But they can fit the common items, like your phone, phone charger, small snack, pens, etc. You cannot see the largest exterior pocket, which is on the front under the top flap. This could fit a small tablet, your phone, and so forth. The inside compartments can hold quite a bit. Now you won’t get a large laptop, but 13″ laptops will slide in nicely. In fact, you should have no problem fitting a 13″ laptop, tablet, notepads, and couple of books. Although I haven’t personally done so, one online customer says that he is able to put his 15″ Macbook Pro in the messenger bag, so it’s possible other 15″ laptops could fit, although it would no doubt be a tight squeeze since the interior is about 16″ wide. 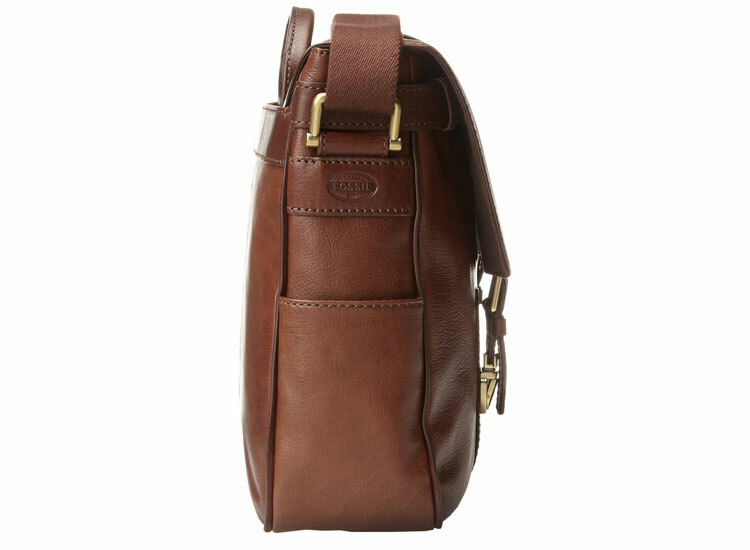 The Fossil Saffiano messenger bag currently comes in two different styles: Cognac and Dark Brown. 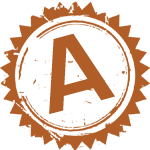 Cognac seems to be the more popular seller but I personally prefer the dark brown. Contrasting leather colors are always a sure way to win me over. One day I’ll have to take pictures of all the leather shoes that I own as proof! It’s hard to say how something will hold up years down the road. But based on the quality of the leather, the stitching, and shoulder strap, you should get years of good use from this Fossil messenger bag. As I said earlier, I have personally had several Fossil leather products of the years and they have all held up well. Fossil’s Saffiano messenger bag, like all Fossil leather products, can be a little more on the pricey side. Usually it can be found online for $300 or less. 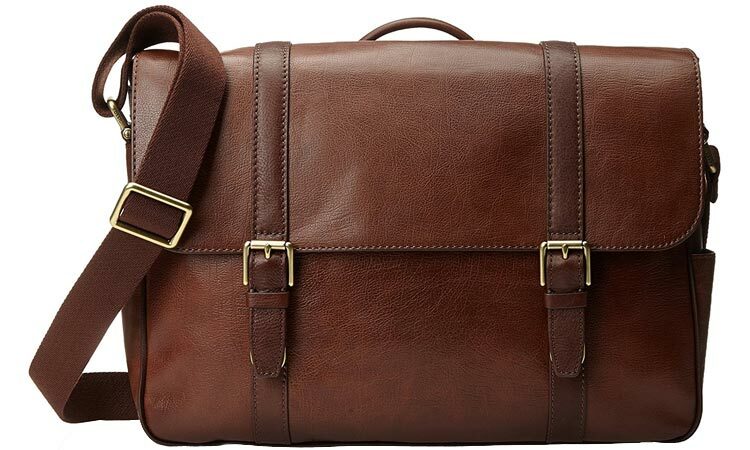 Of course, there are cheaper name-brand leather messenger bags on the market. Not all have the same quality of leather like Fossil does though. When maintained, good quality leather will last for years or even decades. I consider it a wise investment. For those looking to save some money you could try looking for a used one on eBay first. Or keep an eye out online to snag one on sale! User reviews on various websites average around 4.5 stars out of 5. So there should be no surprises! Just the quality that you expect from Fossil. If you want a cheap, leather messenger bag then this Fossil Saffiano is not the best option for you. However, I feel that if you are going to buy leather, then you want leather that looks and feels great. After all, you will have it for years or even decades! For those who would use it everyday for work, or are looking to buy a gift, then it is a great investment. My recommendation? Buy the Fossil Saffiano messenger bag online, like at Amazon, and if you don’t fall in love with it, then just send it back! I’m pretty confident that you will keep it though!